Gaslamp City Square 2 Bed/2Ba spacious 3rd floor, northwest corner unit overlooking 4th St towards Horton Grand Hotel enjoys bright, light floor to ceiling windows, laminate flooring in LR/Dining, carpeting in the bedrooms, Granite counter-tops, in-unit laundry, stainless kitchen appliances & 2 car tandem garage parking. This contemporary, urban community features a 3rd level pool deck, spa, BBQ and fitness center. 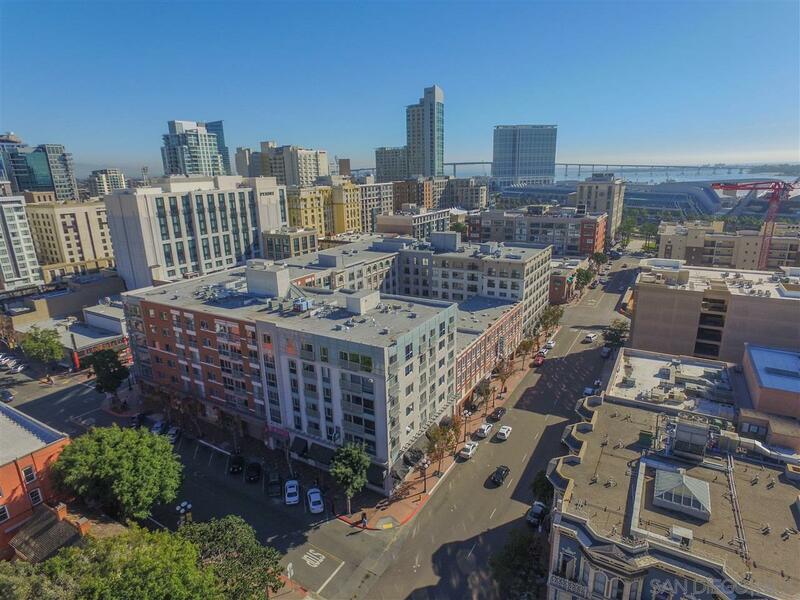 Live in the heart of it all in the Gaslamp Quarter.